This weeks Featured Feline is Pansy. 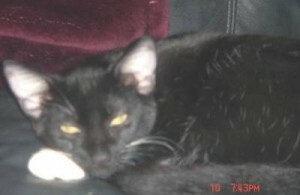 Pansy is looking for her forever home and would love to get cozy on a comfy couch. If you would like more information about Pansy, please contact her foster parent via email at Rita E. or through The Cat Network at 305-255-3482 and ask for Pansy. This weeks Featured Feline is Cricket. 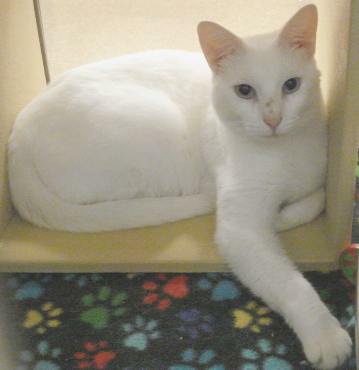 Cricket is a handsome male looking for that special someone who will welcome him into their life. If you would like more information about Cricket, please contact his foster parent via email at Megan C. or through The Cat Network at 305-255-3482 and ask for Cricket. This weeks Featured Feline is Spirit. Spirit is a sweet tempered male looking for his forever home where he will be loved and cared for. If you would like more information about Spirit, please contact her foster parent via email atMarcia S. or through The Cat Network at 305-255-3482 and ask for Spirit. This weeks Featured Feline is Ben. Ben is a get along with everyone fellow. He is looking for his loving and caring forever home. If you would like more information about Ben please contact his foster parent via email at Ruth D. or through The Cat Network at 305-255-3482 and ask for Ben. This weeks Featured Feline is Cappuccino. 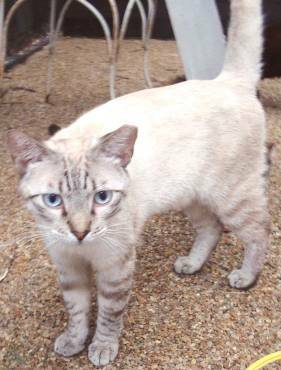 Cappuccino is an FIV+ male looking for a loving home to be an only cat or possibly a companion for another FIV+ cat. If you would like more information about Cappuccino please contact his foster parent Margot D via email at or through The Cat Network at 305-255-3482 and ask for Cappuccino. This weeks Featured Feline is Hemi. Hemi is waiting for that special someone who will love and care for him for the rest of is life. While he waits he counts his six toes on each paw… he would love for you double check his counting. 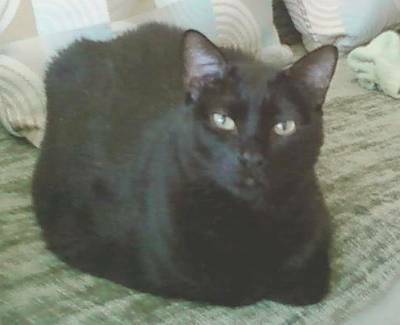 If you would like more information about Hemi, please contact his foster parent via email at Diane F. or through The Cat Network at 305-255-3482 and ask for Hemi. This weeks Featured Feline is Marty. 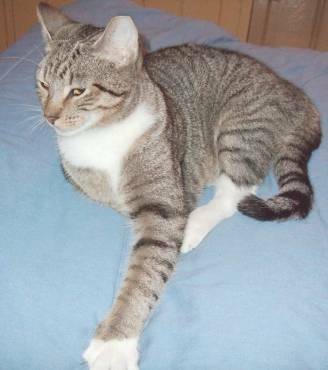 Marty is an extra large male who is a great cuddler and loves petting and grooming. Would be absolutely perfect for someone who wants an undemanding quiet pet. Would do best in adult household or with older children. He is declawed in front and talks some but is not loud. If you would like more information about Marty, please contact his foster parent Ann M. through The Cat Network at 305-255-3482 and ask for Marty. This weeks Featured Feline is Gigi. Gigi is a very personable female who likes kids! If you would like more information about Gigi, please email her foster parent Megan C. or call The Cat Network at 305-255-3482 and ask for Gigi. 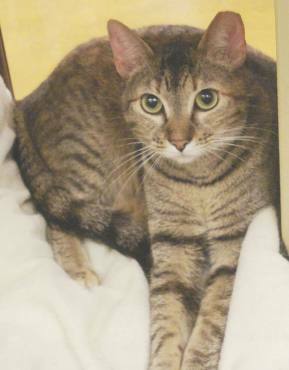 Short hair torbie, very personable, likes kids! If you are looking for your new best friend, browse through our cats available for adoption. This week’s Featured Feline is Bunny. 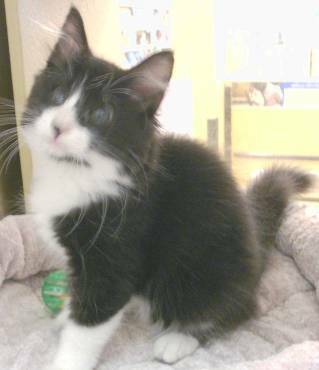 Bunny is a sweet female cat available for adoption from her foster parent Pat M.
Bunny is a healthy kitty that was born with a birth defect to her eyes that causes blindness in her right eye and limited vision in her left eye. But that doesn’t stop Bunny from being a playful, adorable cat ready to give love to someone special! Because of Bunny’s limited vision, she operates best with another cat to act as her guide. Make sure you check out all of our cats up for adoption so you can find a great companion for Bunny! If you are interested in meeting Bunny, please email her foster parent Pat M. or call The Cat Network at 305-255-3482 and ask for Bunny. This week’ s Featured Feline is Dandy. Dandy is a sweet tempered male looking for a lifetime friend. If you would like more information about Dandy, please contact his foster parent via email at Marcia S. or through The Cat Network at 305-255-3482 and ask for Dandy. 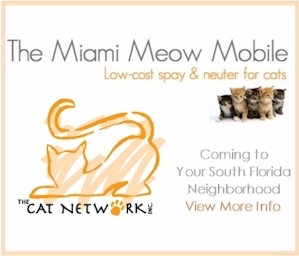 The Cat Network is bringing attention to the plight of the Black Cat that is not very adoptable in South Florida and the plight of the many cats that have been left homeless due to the economy and the amount of foreclosures in Florida. 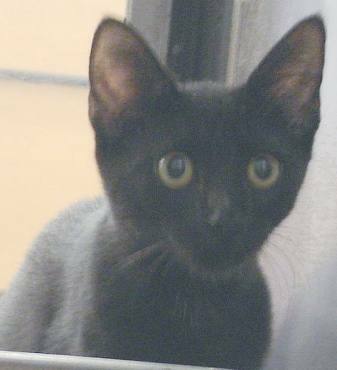 Click here to continue viewing other adoptable cats in South Florida at the Cat Network.